The rise of Bitcoin made some early investors very rich. For instance, anyone who purchased Bitcoin a few years ago at a few dollars has a success story to tell. Currently, the value of Bitcoin is approximately $6,553. However, they had to wait for quite some time before reaping the rewards. And the fact that the value of Bitcoin continues to rise, investors are still making more and more each day. What could be the case if we knew about the next successor? We have seen how Bitcoin has drastically changed the lives of many. That’s why traders, investors, and analysts are looking out for the next big thing in the cryptocurrency sector. Recently, Ripple has gained a lot of attention and partnerships. Financial experts are predicting that Ripple could be the next Bitcoin. But same as Bitcoin, its value will not rise overnight, but we can expect to see a significant increase by 2019. Ripple has performed well in the previous year. At one time, it had dethroned Ethereum from its position, all thanks to its stability and solidity. Despite the fact that Ethereum gained its position back, Ripple has still sustained growth and has earned its place in the cryptocurrency industry. Ripple was launched in 2012, approximately three years after Bitcoin. A U.S based company called Ripple Labs built Ripple. Its primary concern was to come up with a payment system to be used by banks to facilitate the transfer of funds both internationally and domestically. Currently, many financial institutions prefer Ripple due to its payment processing. The Ripple XRP token is being ranked third in the coinmarketcap. The primary difference between Ripple and other popular cryptocurrencies such as Bitcoin and Ethereum is that Ripple is a centralized version of a decentralized technology. Bitcoin and Ethereum systems are backed by global miners who process and verify transactions. Nobody has actual control over their systems. Ripple transaction modes are controlled by specific financial institutions such as RBC, UBS, and Westpac among others. The fact that Ripple has a great control over their system worries many buyers and sellers. Most investors opt for a decentralized platform such as Bitcoin. You can use some of the major free bitcoin telegram signals to understand how crypto prices rise and fall. According to Brad Garlinghouse, Ripple CEO, for any kind of industry to grow and move forward, it has to work together with regulators. During an interview with CNBC’ Fast Money, Brad said the entire industry should realize the importance of working with the system. Exactly how the Blockchain revolutions happen within the system and never outside the system. There are numerous ways on how the Ripple Blockchain platforms work better than Bitcoin and what has caused Ripple to gain popularity. At first, in comparing how Ripple and Bitcoin process its transactions, Ripple comes out faster by miles. For instance, when sending or receiving XRP from one wallet to the other, it takes seconds for the transaction to be processed and confirmed. Ripples faster transactions and lower fees are the primary reason why major financial systems are embracing the XRP currency. This is the premise for the dramatic increase in the value of Ripple. You can confirm the value and transaction fee of XRP in crypto exchange platforms. Regarding Ripples transaction fees, Ripple is nearly free. The standard transaction fee for a standard transfer is 0.00001XRP. For instance, in January, when Ripple was selling at $3.29, the transaction fee for such a case would have been $0.0000329. In reality, this means that it would only cost you $1 to send over 30,000 transactions. Ripple is greatly helping financial institutions and individual investors save a lot of money. In fact, with the expected increase in the value of Ripple, we expect more prevalent payment flows. Ripple is undoubtedly on the rise, and it holds the potential to be the next, Bitcoin-like token in the near future. Once again, when it comes to scalability, the Ripple system works better than Bitcoin. As mentioned earlier, Ripple transaction speed is very high. For instance, it takes Bitcoin approximately one second to handle seven transactions. Well, in the case of Ripple, it can handle over 1,500 per seconds. This fact makes Ripple ideal for a big and multi-trillion inter-bank industries. With the Ripple system, banks will be able to send money to international banks easily and faster. Currently, it is very slow and costly to send money internationally. For instance, most banks use a Belgium based third-party organization known as SWIFT to transfer money. This means that someone can’t send money on emergency cases. With Ripple in the finance sector, financial institutions can use XRP to facilitate money transfer and act as a bridge of liquidity. This ways, banks, and individual investors will save lots of money and time. So, we can expect more in the near future. The prices for Ripple XRP tokens are considerably more affordable as compared to its alternatives. This explains why Ripple has attracted so much attention to cryptocurrency speculators. Currently, the value of Ripple’s XRP has improved by more than 7000% from its ICO price. In fact, over 100 banks have already adopted the Ripple token. Some of these financial institutions include Santander, Credit Agricole, and the Bank of America. With Ripple already making these partnerships with major banks all over the world, we expect to see more in the future. 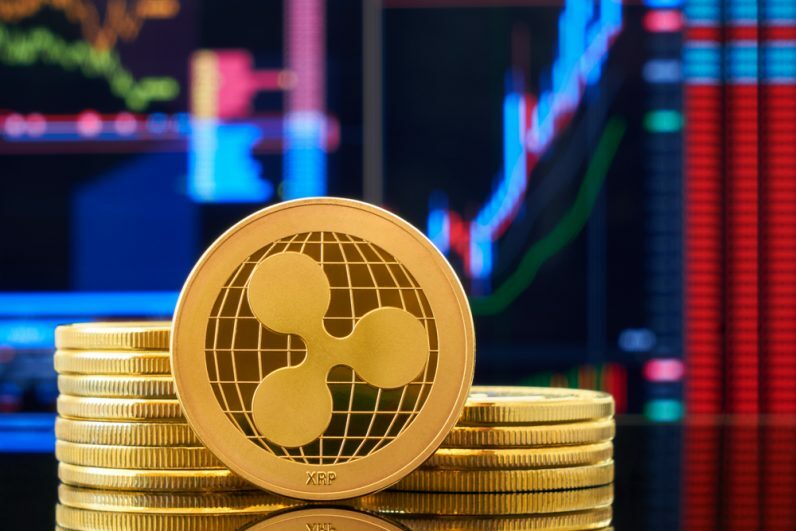 According to Craig Cole of crypto maps, an expert in the cryptocurrency industry, Ripple could be the catalyst that would make the cryptocurrency sector more mainstream. Ripple is just but a new cryptocurrency on the rise today, but one that promises a lot in the future. The exact value of cryptocurrencies changes within seconds and can only be confirmed through major exchanges platforms. The value of Ripple is stable as compared to popular cryptocurrencies such as Bitcoin. In summary, there is no doubt that Ripple has a potential to replace Bitcoin in the marketplace of leading cryptocurrencies. In the days to come, we will be able to see how this unveil.